As I sat and watched the happenings at Yankee Stadium along with 50,000 other people on Derek Jeter Day in the City of New York, I invariable had to wonder why this man connected with so many people. 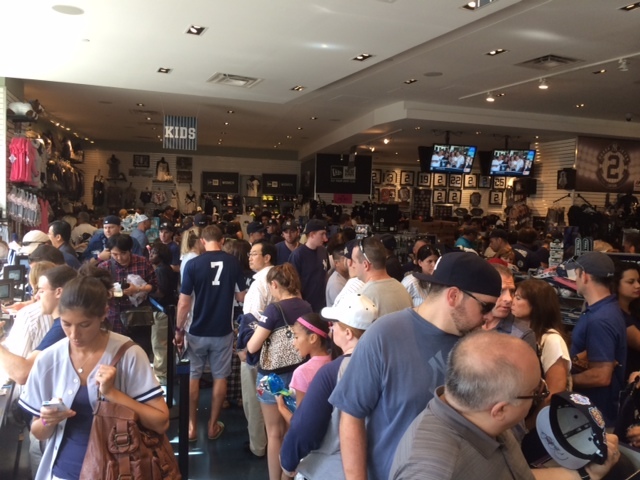 People were spending hundreds of dollars to buy shirts, hats and other trinkets celebrating his career. 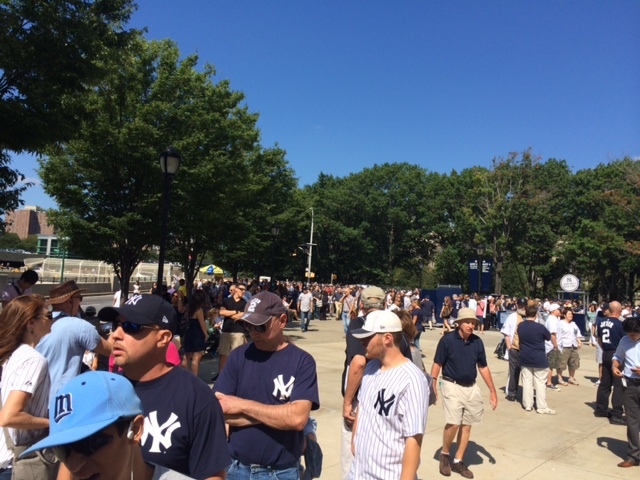 I wanted to get to the stadium early since I didn’t have a ticket. I figured three hours before game time would give me plenty of time to find a parking spot and a ticket, wrong… Traffic was a nightmare! I did feel smarter than the average fan, however. I went a different way than the “normal” way to the stadium. I was shocked at the site when I arrived, the entire place was encircled with fans. As I walked around the inside of the stadium and watched the lines of people purchasing all the nostalgia of this day, I started getting swept up in the emotion of it all. People were buying a piece of history, at least that’s what they thought. Someone asked if there was any game day programs left, the vendor said, “No.” He then mentioned that they were already selling on Ebay for $80. I laughed at the thought of how fast people want to profit. The energy was abundant, I would look at a “cool” t-shirt to buy and then realize it was just this energy and emotion that was tempting me. I had already been given a commemorative coin when I walked in, that would have to suffice. 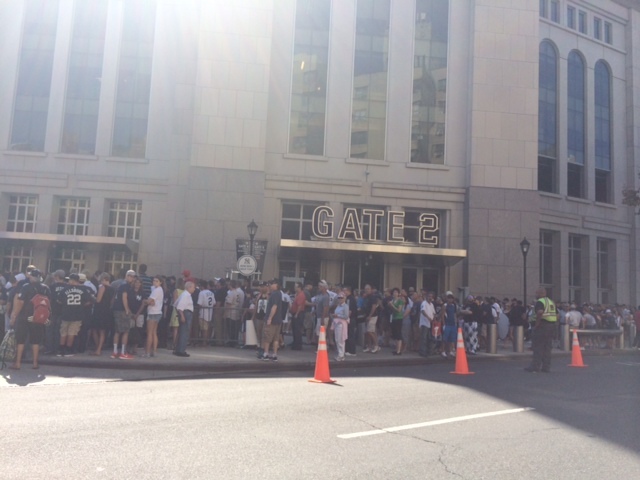 When the ceremony started to honor Jeter, I watched the fans. I could see in their eyes that they felt they knew him, that they had history with him, that he was their brother, hero and inspiration. Derek Jeter is an entertainer and a showman. He managed his image meticulously. But, to be able to do what he has done, he had to be a man with incredible talent and humility. I loved the pageantry. New York City proclaimed September 7th, 2014, Derek Jeter Day. 50,000 people showed up early to a game to honor him. Old teammates of years gone by where there, along with ‘Legends” of other sports who also made appearances. Memories of championships, great plays and other moments played out on the big screen in centerfield. Baseball is an emotional sport for fans. Their attachment and expectations of players, rise and fall on every play and game. Some players are easy scapegoats and some turn into legends that can do no wrong. To understand why people get so emotional is probably a pointless exercise. I know that I have a physical reaction to the energy I feel when at, and during, games. I enjoy the feeling which helps me stay in the moment and that is probably what most people feel. That feeling helps us stay connected to one another, that is why we need hero’s in our sports. 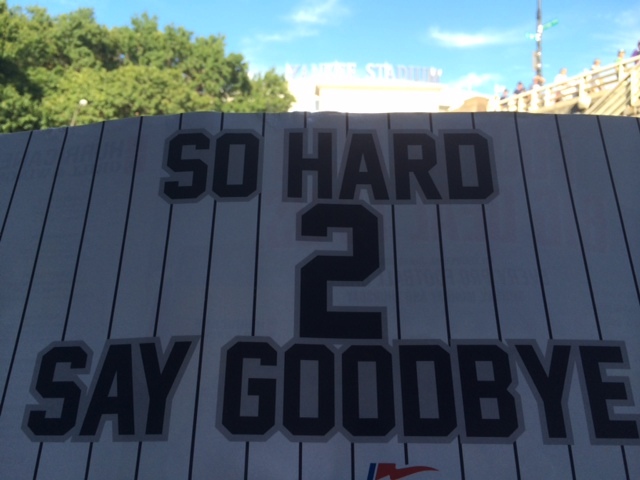 Thank you, Derek Jeter!